Change: Rehabilitation of 1 school well, Agustina Miranda, Barrio Pedro Joaquin Chamarro, Camoapa, Boaco, Nicaragua. 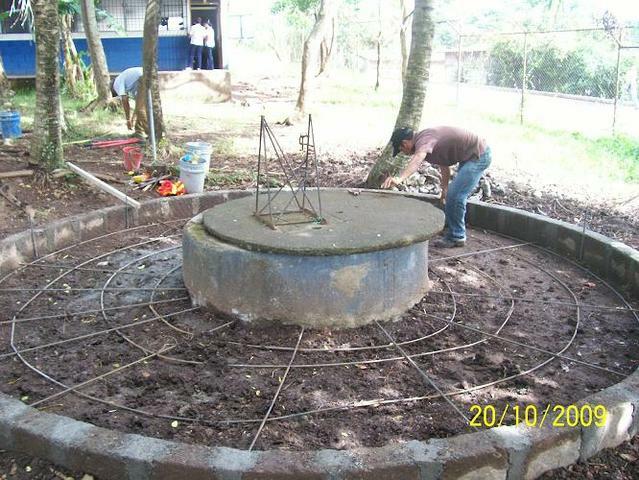 Was: Rehabilitation of 1 well in San Isidro, Camoapa, Boaco, Nicaragua. See details below. As mentioned, the original well in San Isidro was unable to complete due to legalization problems that were taking far to long to put in order. In order to take advantage of the donation, we decided to rehabilitate a different well in Agustina Miranda school as per their request. The town water supply has become contaminated in recent years. The school/parent's committee has agreed that each member will pay a quota each month for the well maintenance (10 córdobas (about 50 cents US). This amount will go to the maintenance fund which will be maintained by the treasurer of the potable water committee and will be put into a bank account if it reaches 1,500 córdobas (U$82). El Porvenir will assist the community in opening a bank account if necessary. In this case, the project staff should have checked on the legal situation before moving forward and requesting funds. However, the community had told the staff that the situation was in hand, and the legalization was in progress - unfortunately, it is still in progress as we report here. We do not authorize any projects unless the land title is legalized in the name of the community (or school). 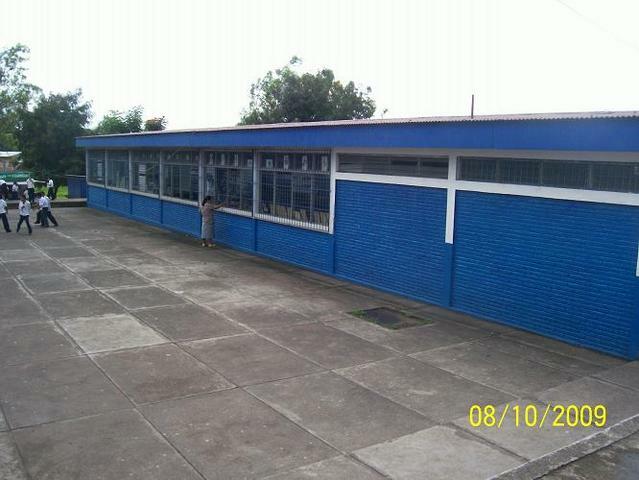 Agustina Miranda is a school located in the neighborhood of Pedro Joaquin Chamarro in Camoapa, Boaco. 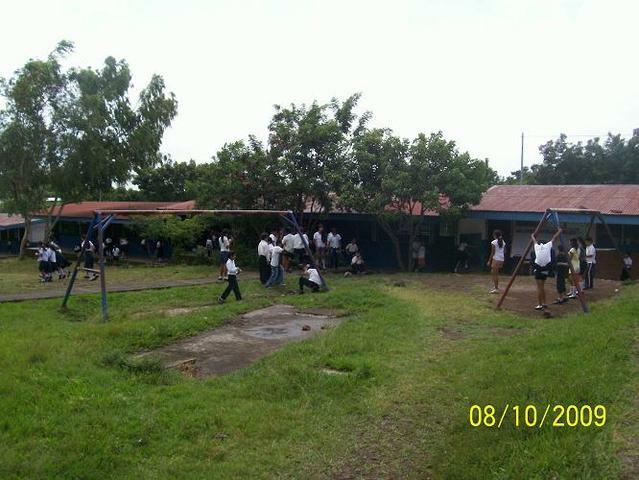 There are 48 teachers and 1279 students according to the school director and El Porvenir field staff. 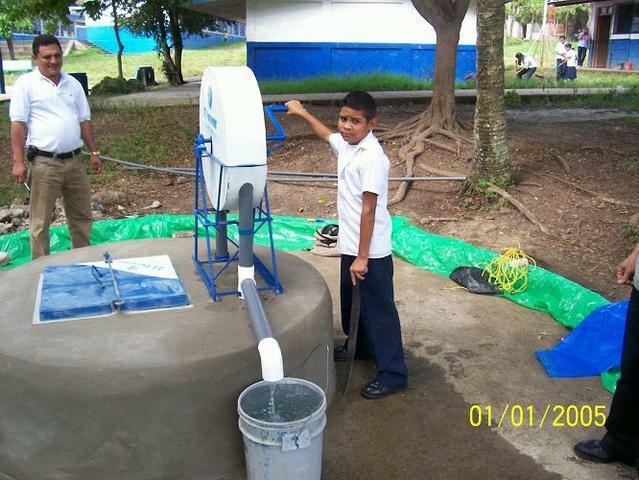 The town water system's water is contaminated, so the school requested help to rehabilitate this old well.